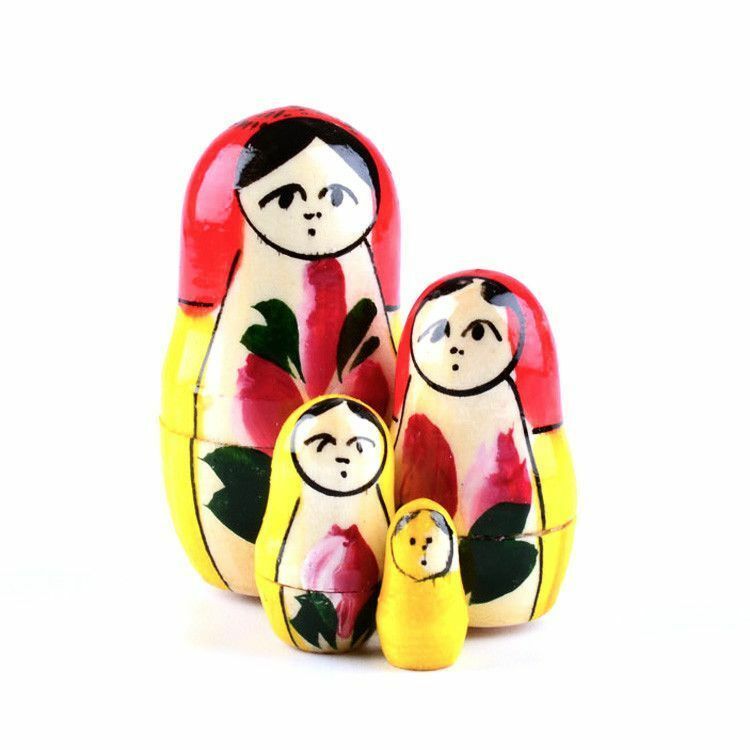 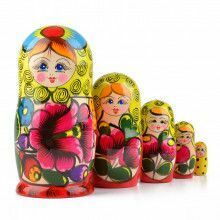 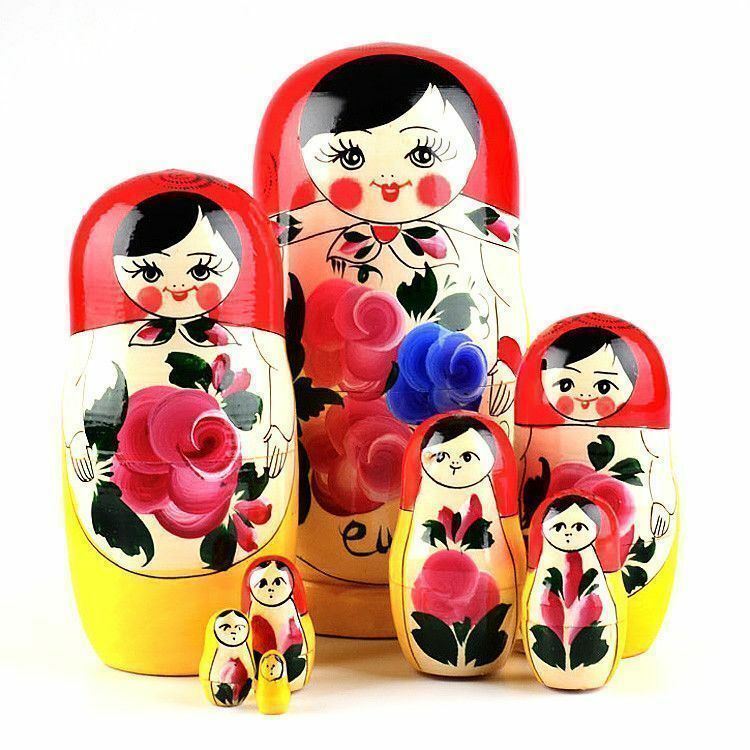 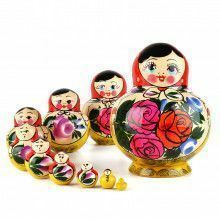 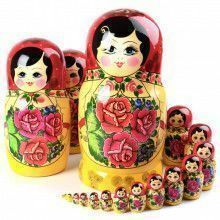 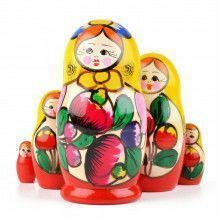 Bright red and vibrant yellow, accented with pretty pink/red flowers (with a touch of blue), makes this authentic Russian matryoshka a beautiful piece of home decor! 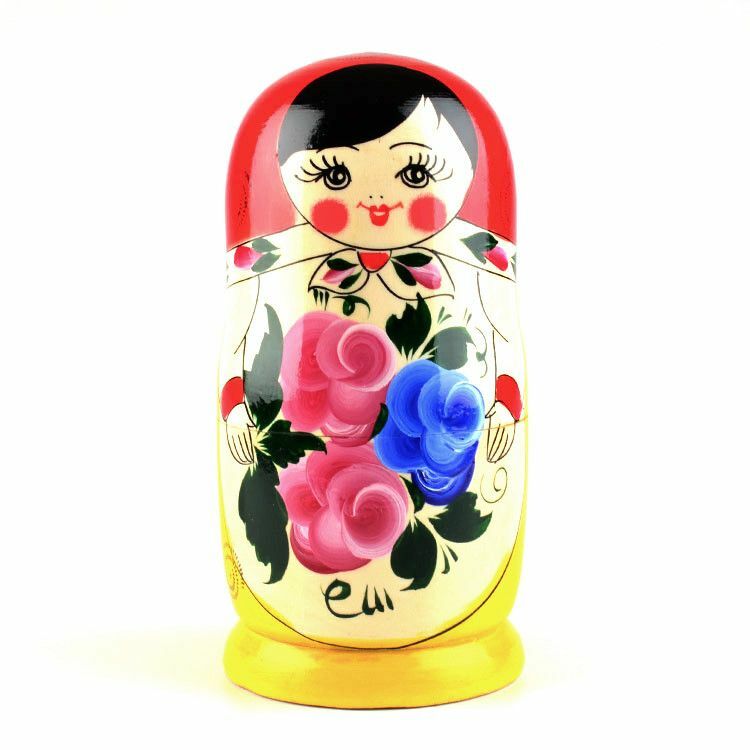 She stands about 8 1/2" tall and has a total of 8 dolls. 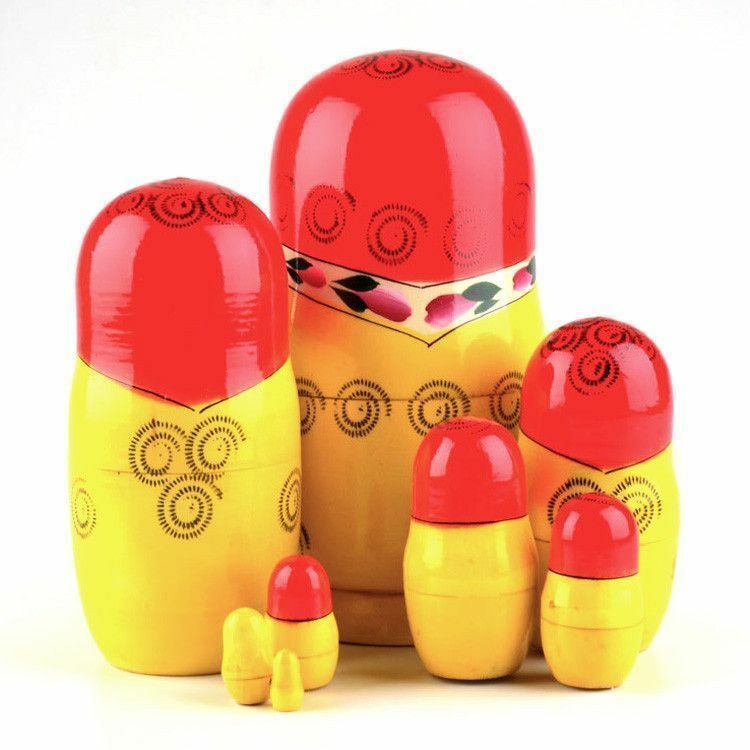 Gloss finished and ready to ship to you or your loved one! 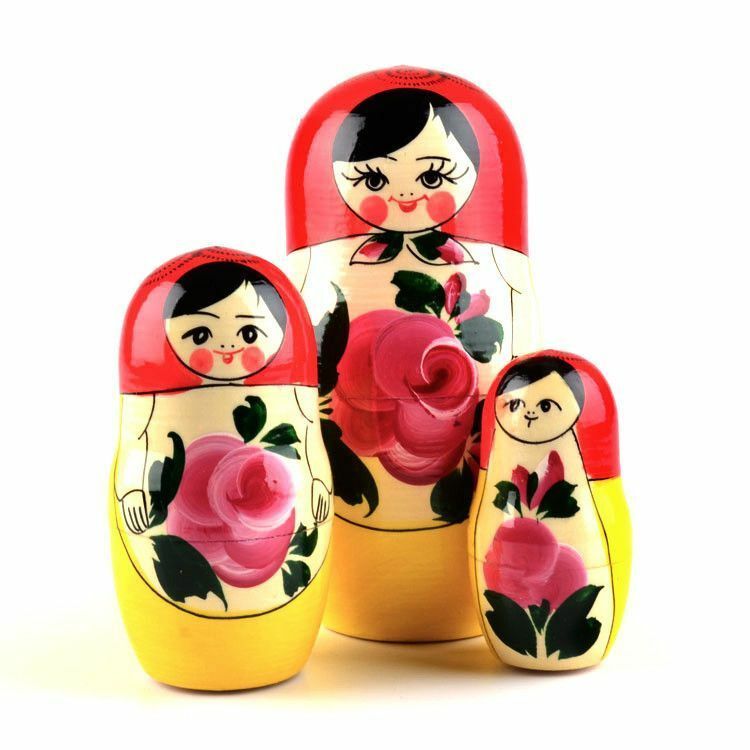 Colors might slightly vary.